Property valuation, real estate appraisal or land valuation is the process of developing an expert opinion about the market value of a specific property (usually market value). Property transactions often require appraisals or valuations because every property is unique and its value depends on a lot of factors. In the UK, real estate appraisal is known as property valuation and a real estate appraiser is a land valuer or property valuer; usually, this expert is a qualified chartered surveyor who specialises in property valuation. This profession is regulated by the Royal Institution of Chartered Surveyors (RICS), a professional body which encompasses all of the building and property-related professions. Real estate appraisal, in the USA for example, is regulated by each State. Both in the UK and the US, this job is highly sought after. Generally, in this area of business, you earn quite a lot of commissions, so you can understand why these jobs are so highly sought-after. We are talking about property (real estate) transactions that have a substantial value. An appraiser, also known as a property valuer, has the role to value properties such homes, plots of land or apartments. This process property valuation is called an appraisal. If you’ve ever wondered how a house gets its price tag, a professional valuation is often part of the pricing process. Property valuers give professional advice to individuals and businesses that buy, sell and rent land and property. To become a land and property valuer you normally need a degree or professional qualification approved by the Royal Institution for Chartered Surveyors (RICS) or a specific postgraduate qualification. Exist differences between an appraisal and a home inspection? Sure! The vast majority of property transactions involve both a valuation and an inspection. An appraisal (or valuation) focuses on determining the market value of that property. The value is based on the cost of similar properties, the property’s location and a range of other factors. An inspection is supposed to identify problems with the home, the valuation process goes much, much deeper. Market value – is the most probable price (in terms of money) which a property should bring in a competitive and open market under all conditions requisite to a fair sale. The major difference between market value and market price is that the market value, in the eyes of the seller, might be much more than what a buyer will pay for the property or it’s true market price. It is an estimate of what a property would sell for in a competitive market and what other similar properties have sold for under the same conditions. 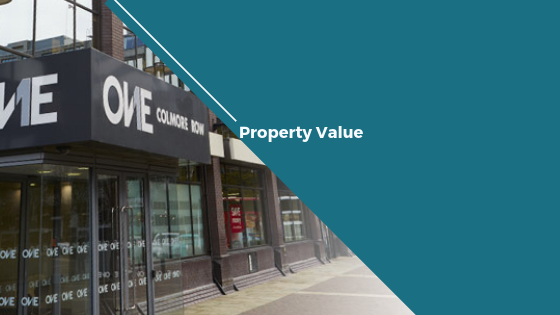 We wrote the following article detailingthe best online property valuation tools, to view an estimate of your property’s value. Of course, the most reliable valuation method is the one made by an estate agent. Estate agents value so many houses in the course of their profession that their estimates are often far more precise than those made by valuation websites. Get a free valuation with Love Your Postcode and find out how much your property could sell or let for in the current property market. Our aim is to leave you with more of the sale, saving you a huge amount of money in the process and achieving a higher selling price. Since we want to make you have a profit from the property selling process, our property valuations are free of charge. Call us on 0800 862 0870, download our property app or book a free property valuation today.